With changes to the Building Regulations imminent in October, installers of SEDBUK Band B boilers are being advised to seek manufacturer advice on alterative options. Part L of the Building Regulations is due to change in just over a month’s time which will mean installers will not be able to specify B-rated condensing boilers. They will be allowed to fit Band B boilers until April 2011 if the boiler order was put in prior to October 1 this year or if the boiler is an oil-fired combination boiler. With the changes afoot, Worcester Bosch Group’s Director of Marketing and Technical Support has said it’s time for these installers to look into the other options available to them away from Band B installations. Martyn Bridges said: “Band B has served a purpose, allowing many installers who were comfortable with less efficient technology to continue to install what they know and recognise. “When a Band B boiler case is removed, installers see a familiar boiler with just a secondary heat exchanger in place to extract more heat. 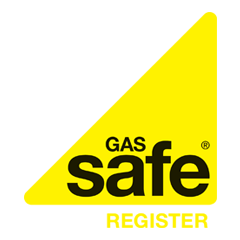 “However, the changes to the Building Regulations will outlaw the fitting of these boilers. Many manufacturers have made changes to their ranges to suit the new regulations. UK firm Main announced last week that it has extended its range of SEDBUK Band A boilers to comply with the changes to Part L and made them easier to fit for installers. According to industry statistics, Band B boilers account for approximately 10-15 per cent of the UK boiler market. Many of these boilers are bought from DIY chains or online thanks to lower costs according to the report. “Once on a course, Band B installers might be pleasantly surprised,” added Bridges. “Band A boilers offer much more flexibility in terms of where the boiler can be sited and there is also much greater flueing flexibility.